Book Reading & Signing with Kati Stevens and Allison Titus! Join us for book reading & signing with Kati Stevens, author of Fake (Object Lessons) and Allison Titus, author of Sob Story: The History of Crying. Free & open to the public. About Fake: Object Lessons is a series of short, beautifully designed books about the hidden lives of ordinary things. Object Lessons is published in partnership with an essay series in The Atlantic. The electric candle and faux fur, coffee substitutes and meat analogues, Obama impersonators, prosthetics. Imitation this, false that. Humans have been replacing and improving upon the real thing for millennia – from wooden toes found on Egyptian mummies to the Luxor pyramid in Las Vegas. So why do people have such disdain for so-called “fakes”? 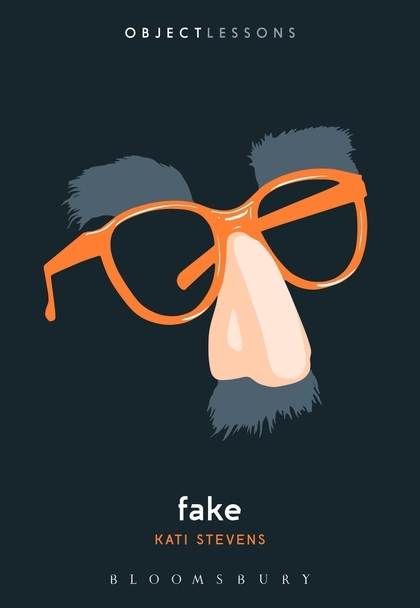 Kati Stevens's Fake discusses the strange history of imitations, as well as our ever-changing psychological and socioeconomic relationships with them. After all, fakes aren't going anywhere; they seem to be going everywhere. About Sob Story: The History of Crying: An essayistic chronicle of crying. Ranging from depictions of weeping on ancient Syrian tablets to Rambo to crying workshops in contemporary Japan, Titus delivers a long poem about the exhibition of emotion that links all of us together. Titus’s sharp mind and eye for detail are on full display as she catalogues what crying is, how it works, how it feels, what it means to society, and what it means to us all personally. Banned Books Week with ACLU Virginia! Book Reading & Signing with Clara Silverstein!